A rear strut bar provides a lot more stability to cars that are driven faster pace in the rear shock absorber section and avoids a flexing of the chassis. In addition to this it provides vehicle precision and nimbleness for cornering. 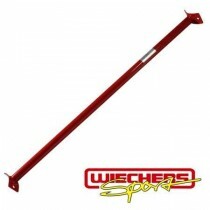 Wiechers strut bars are absolutely perfect fit and meet the highest quality standarts. 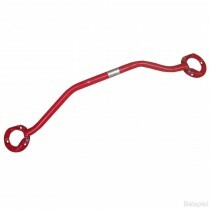 Steel strut bars are supplied painted red. Product illustrations are samples. Design may vary depending on the vehicle! Aluminium rear strut bars, rear chassis frame braces, front below strut bars / rear suspension brace: A rear suspension brace provides a lot more stability to cars that are driven sporty style in the front shock absorber section and avoids warping of the car body. 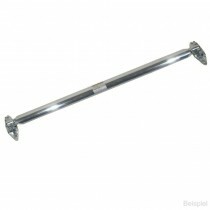 In addition to this the car´s steering gets more stable and direct. A front strut bar provides a lot more stability to cars that are driven faster pace in the front shock absorber section and avoids a flexing of the chassis. In addition to this it provides vehicle precision and nimbleness for cornering. Aluminium rear strut bars, rear chassis frame braces, front below strut bars / rear suspension brace: A front suspension brace provides a lot more stability to cars that are driven sporty style in the front shock absorber section and avoids warping of the car body. 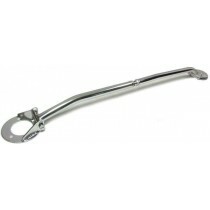 In addition to this the carÂ´s steering gets more stable and direct. Aluminium front strut bars, rear chassis frame braces, front below strut bars / Front suspension brace: A front suspension brace provides a lot more stability to cars that are driven sporty style in the front shock absorber section and avoids warping of the car body. 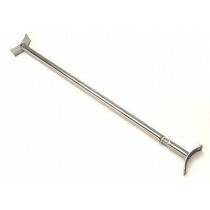 In addition to this the car´s steering gets more stable and direct.